I have an '11 Lariat supercrew with the Adobe interior. Yesterday I finally got around to cleaning my front seats. Been doing other things, plus it's been Hot! Truck is at about 76,000 miles now. So about 11:00 AM I grabbed my cleaning stuff, then went to it. Total time was about 1 1/2 hrs.. Just did the front seats, seat cushions and back. 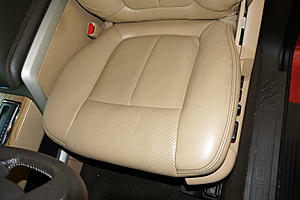 Drivers seat cushion took two cleanings and rinses. 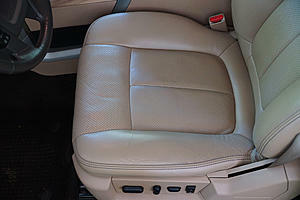 Passenger seat didn't look like it was that dirty. But the dirty water in the bucket told a different story, lol. It was breezy yesterday, so I left both front doors open as I worked. Air drying was pretty quick. 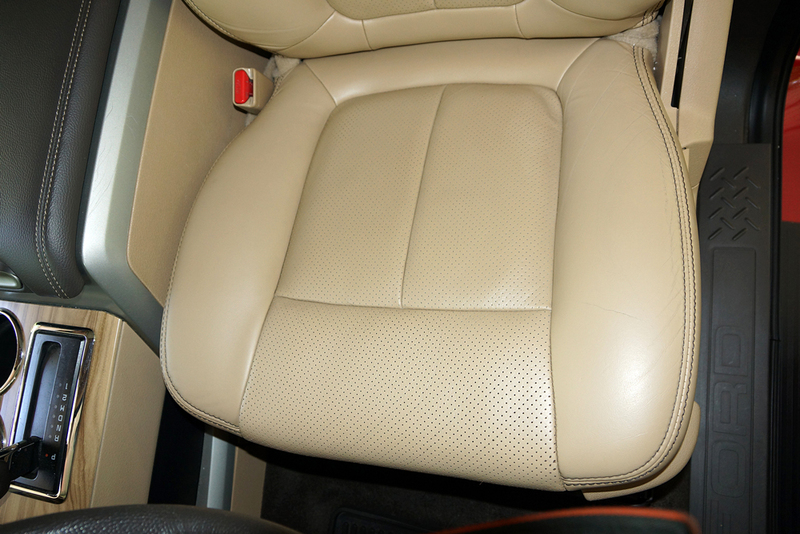 Here are a couple pics I took of the drivers seat cushion. One picture before cleaning, and then after cleaning with the conditioner applied. The first set of pics I took without the flash. It shows the creases and dirt better. The second set is with the flash at a different angle. 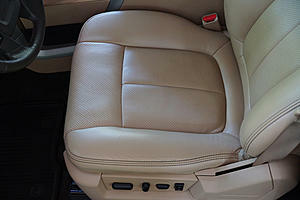 Quick Reply: Annual cleaning of my leather seats.